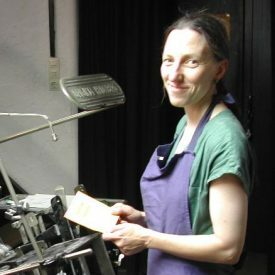 Fork and Broom Press is into relief printing, including letterpress using metal and wood type. All presses are manually operated. There are two proofing presses, one Korrex and one Grafix, each printing up to poster size, and three smaller platen presses. The stock of metal type to choose from is stored in some three dozen type cabinets. 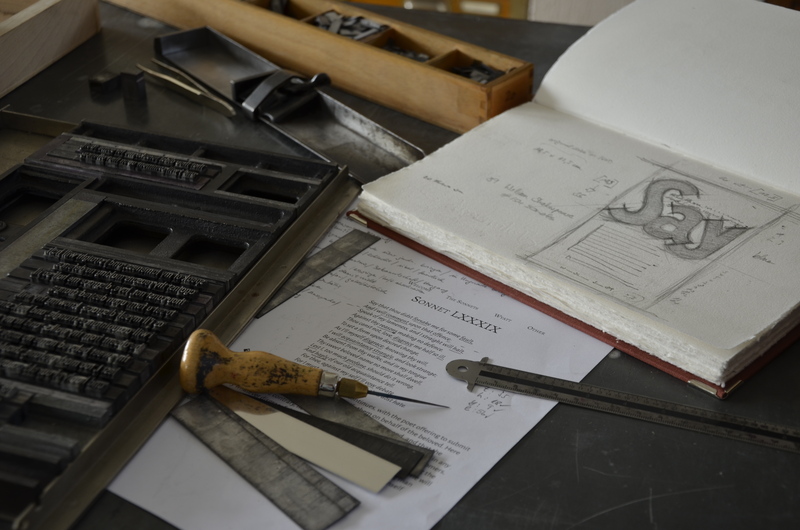 Text printed at Fork and Broom Press is set by hand in the traditional way using a composing stick. 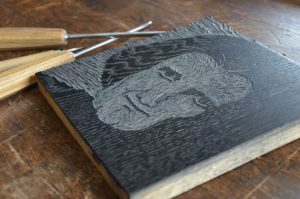 Illustrations, be it for broadsides, artist’s books or prints, will be made either as woodcuts or linocuts. In some cases sheets might be coloured prior to printing. All work is published in small limited editions, book projects can be a series of one-offs. 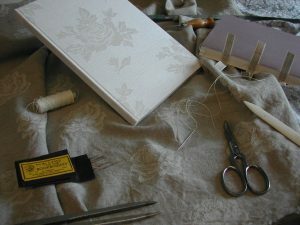 Artist’s books are bound by the artist herself, either on a sewing frame or on the workbench. It is a needle-and-thread-job. There are classic hardcover books or experimental open-spine bindings, plus the whole range in between.